Brighten your smile with white fillings. Discreet, they will seamlessly blend with the natural colour of your teeth for a consistent smile. 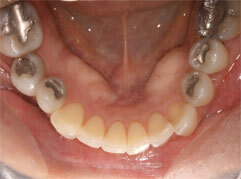 The materials used for white fillings have improved immensely over the last 10 years. 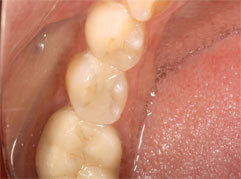 White fillings are now used for the vast majority of fillings we do. 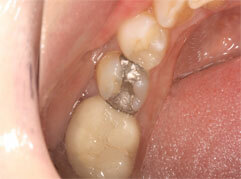 They are used in the majority of cases when silver amalgam fillings need replaced. Also, many people request replacement of their silver amalgam fillings with white fillings to improve the look of their teeth. In most cases we are able to blend the white fillings in with the natural colour of your teeth, so no-one will be aware that any of your teeth are filled. 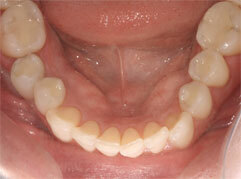 This patient shown above attended shortly before her wedding wanting an improved smile for her photos. Her teeth were whitened and the old metal amalgam fillings were removed and replaced with tooth coloured composite fillings. For further information on white fillings treatments and costs, contact one of our friendly Edinburgh team. Barron Dental Practice, Edinburgh: White fillings which will give you another reason to smile.